COMBINE mayonnaise and mustard in the bowl to make a simple sauce. SMEAR one side of the bread slices with butter and a thin layer of the simple mayonnaise sauce on the other side. PEEL the avocado and cut into thin slices. Cover 2 of the bread slices on the sauce side with avocado and SEASON with pepper. HEAT the large skillet and cook the bacon slices until golden brown and crispy. TRANSFER them to paper kitchen towels first to get rid of the excess fat. 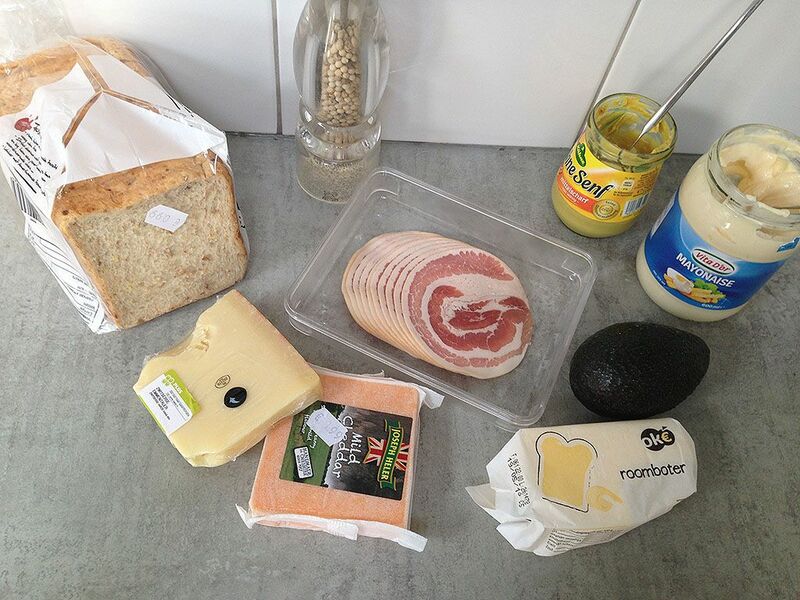 DIVIDE the bacon slices over the avocado and divide the grated cheeses. 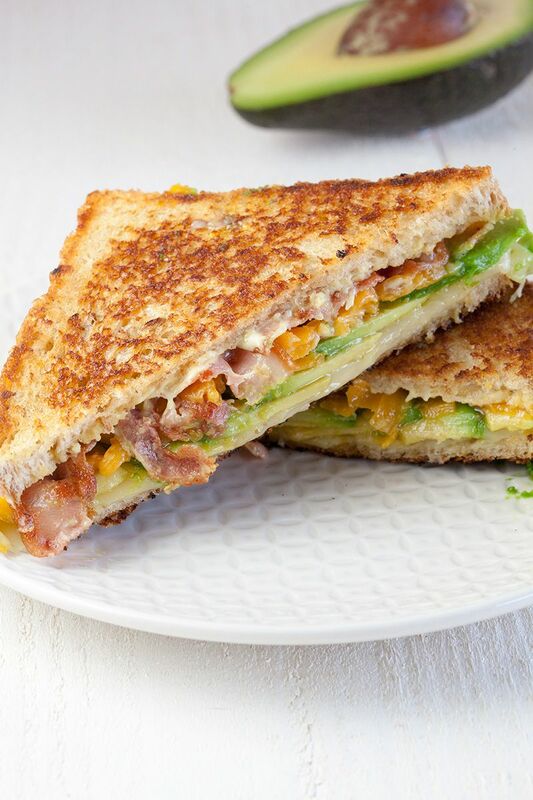 Close the sandwich up, with the butter side of the bread slices on the outside. 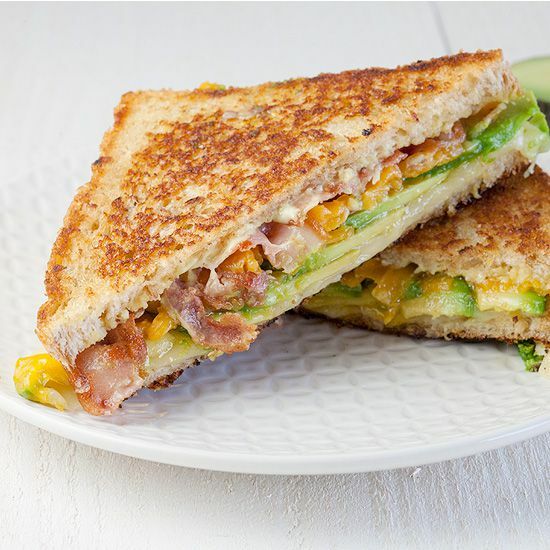 PLACE the sandwiches in the large skillet, bake on low heat and cover with the lid until the cheeses have melted. After about 3 to 4 minutes, flip the sandwiches over so the other side will become beautiful golden brown too. 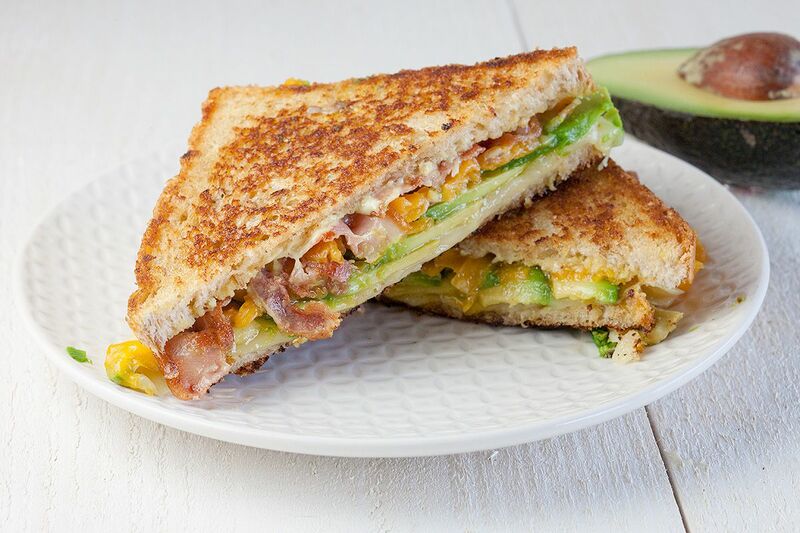 Enjoy this amazing combination of avocado, bacon and cheeses! OKAY, I need this in my life. Like, an hour ago. This looks so incredibly delicious! I will have to pin this for later. Great share!